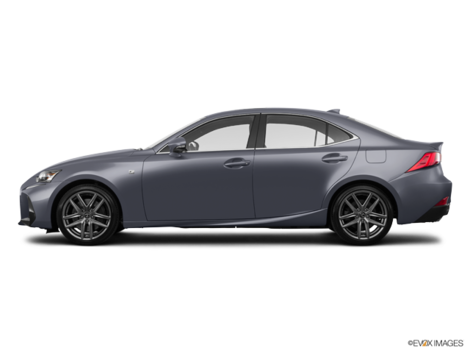 From its powerful engines to its distinguished exterior, the 2018 Lexus IS appeals to those who love to drive. Extensive safety systems and a well-appointed interior are icing on the cake. Shoppers choose between the 2018 IS 300 RWD, 300 AWD, and 350 AWD models. 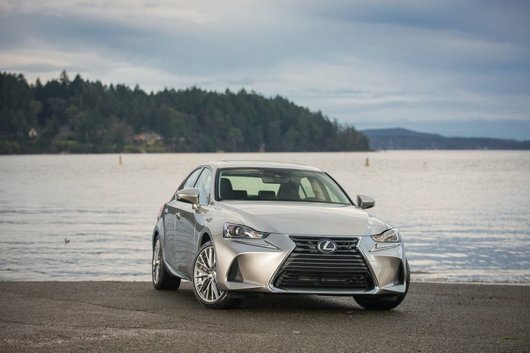 Athletic and refined, the 2018 Lexus IS makes a bold statement. The spindle grille and sculpted hood create a unified, aerodynamic approach to style. The shark fin antenna adds another sporty touch. F Sport packages offer to spice things up even more. 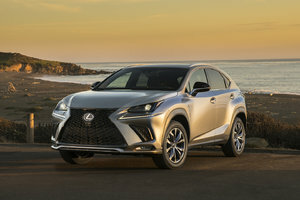 Lexus has thought of everything. For instance, water repellent front door glass keeps your side view clearer while the rain-sensing wipers take care of the windshield. A front windshield de-icer makes life easier on the coldest winter days. The folding exterior mirrors can be defrosted with the touch of a button. IS 350 mirrors have a reverse automatic tilt function to help with reverse manoeuvres. Automatic high beams regulate light at night. A standard auto levelling function and an available adaptive system help your headlights provide maximum light in just the right places. Revved up and ready to take the road, the 241 hp RWD turbo is rated at 7.3 litres/100 km on the highway. An eight-speed automatic definitely takes care of precision shifting. Stepping up to more power, the IS 300 AWD driver commands 260 hp. It has all-wheel drive to take care of winter roads and other challenges. 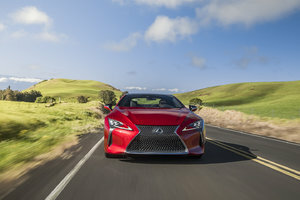 Boosting the thrill of an everyday ride, the IS 350 AWD is rated for 311 horsepower. On either AWD model, outlay is controlled by a six-speed Super ECT automatic. Drivers will appreciate how the Lexus IS watches, warns, and reacts to danger. The forward collision warning and pedestrian watch are paired with a forward emergency autobrake. A lane keeper includes both a warning and an assist. Adaptive cruise control can reduce stress when the IS driver encounters busy traffic. The standard heated front seats offer a bolstered ride. Black NuLuxe provides a leather-like upholstery. Stepping up to full leather, the 300 and 350 offer either black or chateau with a new black metallic trim. The gracious back seat has plenty of room. Dedicated heater ducts, a centre armrest, and adjustable headrests insure your riders comfort. For hotter days, there’s a power rear sunshade and available ventilated front seats. Technology surrounds you with ten speakers, a seven-inch touchscreen display, and Bluetooth capability. Integrated SiriusXM Satellite Radio offers to expand your entertainment possibilities. IS 350 editions add a 15-speaker Mark Levinson system with a single in-dash DVD function. A 10.3-inch display presents full colour navigation aids. 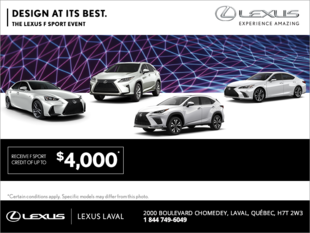 Take time for a test drive and enjoy how the 2018 Lexus IS at Lexus Laval.